Vintage steam trains are to return to London’s Metropolitan line next month. 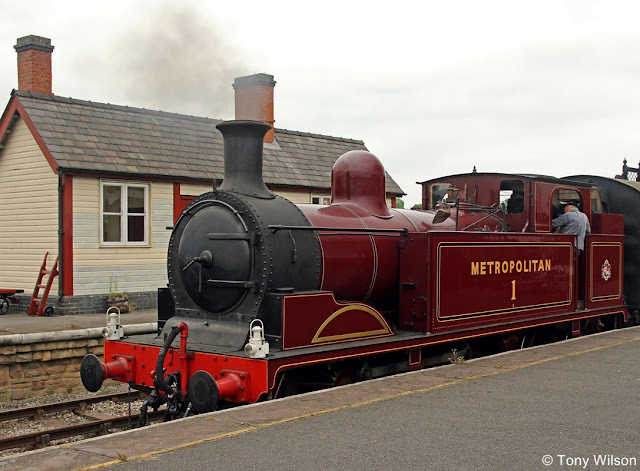 Train enthusiasts will have the chance to ride the Metropolitan No.1 steam locomotive, Steam Locomotive No. 9466, two class 20 diesel locomotives and the 1950s ex-British Rail coaches resplendent in their red livery. Tea and cakes will be served from vintage crockery to day-trippers during some of the journeys. London was the first city in the world to have an underground railway and the initial section built by the Metropolitan Railway ran between Paddington and Farringdon. The idea was put forward by Charles Pearson, the Solicitor for the City of London, who saw it as a way of reducing traffic on the capital’s congested roads and enable people to live in suburbs. Now part of the Circle line, the first section opened in 1863 with the trains hauled by steam engines. For nearly 40-years the Circle, Metropolitan and District lines were operated by steam locomotives, the only underground railway in the world to ever use them. The locomotives were replaced by electric trains in the early 1900s, but steam engines were still used to haul freight and works units until 1971. The ‘Vintage Summer Steam’ event has been organised by the London Transport Museum. The first train will depart from Harrow-on-the-Hill to Amersham at 10.20am, while the last will leave Amersham at 3.27pm and arrive in Ruislip at 4.11pm. Ticket prices range between £5 and £25 and can be bought here. On Sunday, passengers can take a free heritage bus ride from Amersham Station to Amersham Old Town for the town’s annual Heritage Day.